Officer Bean died of injuries suffered ten months earlier during an arrest. On July 22, 1944, the 41-year-old victim was kicked in the stomach while attempting to evict an intoxicated man from a 25th Street bar. The suspect was arrested but managed to kick the officer again while being placed in a patrol vehicle. Officer Bean was treated at a local hospital and released. However, his condition immediately worsened and on April 11, 1945, he collapsed while on patrol. Surgery revealed extensive internal injuries. Following a second surgery, Officer Bean died. 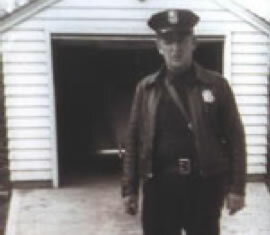 Appointed to the department in 1944, Officer Bean was survived by his wife and three children. He is buried in Salt Lake City Cemetery. His bronze name plaque is sponsored by Ogden City Corporation.